Shepherd's Cross is a working sheep farm and a Christian mission. 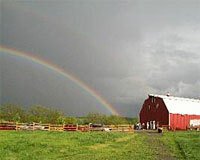 The farm sells sheep, pecans, walnuts, garden produce, and hosts a variety of farm based educational tours. 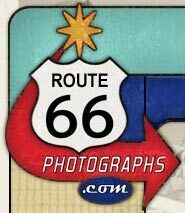 Keeping tourists happy and on The Road with the Historic US Route 66 Passport, pocket-sized address & logbook. This a travel essential has a retail price of $8.95 ($4.50/wholesale) and is selling very well. 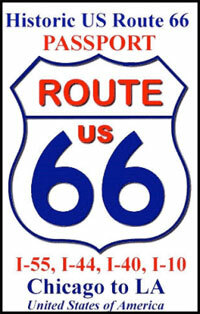 In progress for late 2013: The Route 66 Wine Trail Adventure Guide featuring 66 wineries along the way, from Chicago and LA. Hand made items from my travels down the entire route. Coasters, Lenticular Postcards, plaques, stickers. The Boundary is a small family-owned restaurant that offers the best BBQ around. Open Thurs-Sun for lunch and dinner. We sell individual prints direct to consumers and license images for commercial use. If you don't find what you need on our site, contact us and we'll search our archives or help you find it elsewhere. 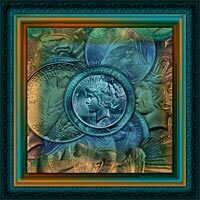 We offer graphic design services, Route 66 images for retail and commercial use, and a unique new series of museum quality art on canvas called "Big Money." 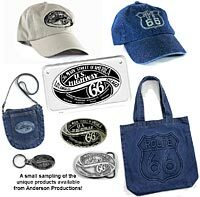 Anderson Productions has been wholesaling its own line of high quality apparel, accessories and postcards for many years. Products include t-shirts, sweatshirts, caps, visors, wall signs, belt buckles, pins, decals, stickers and more. 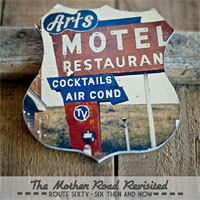 The first and original Historic Route 66 Artwork Document to actually travel city to city during a two year adventure along the entire length of the Mother Road from Chicago to Los Angeles. A signed and numbered limited edition museum quality masterpiece edition. PostmarkArt.com is also home to other historic documentations of highways, byways and state regions.